If you have any questions, please check out our FAQ first. How do I install the modifications? Do you also have modifications for Playstation and Xbox? How many mods can I install? I would like to upload my mods. How does it work? How do I make my own modifications? How can I post comments here? What does the rank on GTAinside mean? What does "Featured Mod" mean? What does the virus scan on GTAinside mean? Question: How do I install the modifications? This will primarily depend on the type of mod. Generally, there are different possibilities and ways to install mods. In most cases, there is a instruction in the archive of the mod which you downloaded from GTAinside. 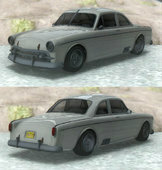 In addition, we have compiled a selection of Tutorials , which show you how to install vehicles and other mods. Also, check out our Forum for help. Question: Do you also have modifications for Playstation and Xbox? No, we only offer modifications for the PC. Question: Do modifications cost money? No! As most of the modders we think that modding should not cost any money. Question: How many mods can I install? In principle, as much as you want. Remember, that the stability of the game thereby may decrease. Best practise is, to install only one mod at once and test the game out. Never forget to make backups! Question: I would like to upload my mods. How does it work? Uploading your mods is very easy. Just use our upload form. Take a close look at the rules to be sure that your mod will be unlocked. Important: If you are logged in, you will be able to manage your mods by your own. Question: How do I make my own modifications? In order to produce your own modifications, you need to acquire modding skills. Many kind of mods are produced with a tool called ZModeller. The official forums offer a large selection of tutorials. Generally, we recommend you to search for more information on Google. Question: How can I post comments here? In order to comment, you need to register or if you already have an account, log in. Question: What does the rank on GTAinside mean? Question: What does "Featured Mod" mean? High-quality mods which appeal to a wide audience and which have been created by well-known and long-time working modders can get the label "Featured Mod". In the past, the decision was made by the moderators of this website. In the meantime, however, the user ratings are used solely as the criterion: If a modification's rating outperforms other mods within a given period of time, it becomes "featured". That means that the community decides exclusively on the "Featured Mods" now. GTAinside.com is the leading resource for Modding, Information and News on the Grand Theft Auto series. The focus is on modding which makes in-depth variation of the appearance and gameplay possible. By this time, our database already provides more than 28,000 modifications for the PC versions of Grand Theft Auto III, GTA Vice City, GTA San Andreas and Grand Theft Auto IV. Every week hundreds of brand-new mods find their way into our database. More than 2.5 million people visit GTAinside.com on average every month and this leads to more than 5 million delivered downloads. On top of that, GTAinside tries not only being a place where you can showcase and download mods but also a place where mod authors and visitors can come in touch and get into conversation. Of course, GTAinside.com and all mods are completely free. Question: What does the virus scan on GTAinside mean? After becoming known that two GTA V mods (Angry Planes and Noclip Mod) included malware, all new uploaded mods are automatically scanned for viruses. The result is displayed directly on GTAinside. We also link the virus scanning report from Virustotal.com. This means that you can get more specific information and gives you the opportunity to make your own opinion about each available download. VirusTotal is working with up to 60 virus scanners and gives you an excellent overview of the all scan results. Even if a modification (and especially Scripts and Trainers) has been classified as potentially malicious, this does not automatically mean that it has to be a virus. This is caused by the way how these programs actually work. In this case, please pay also attention to the detection rate: If the ratio is less than 2%, it is most likely a false positive message. Just click on the scan report in order to get more information.